Small Agro Farmers' Income Improvement Project (SAFFI): With the aim to promote sustainable and inclusive agricultural growth through the introduction of improved vegetable production technique for small land holding farmers, marginalized community, and other people affected by the April 25th 2015 Nepal Earthquake, ISAP with the support of Peace Winds Japan and JICA has initiated the SAFII project. The various components of the projects mainly comprises of formation of farmers' groups, technical training for farmers including crop selection and seasonal vegetable farming, assistance to purchase agro-inputs, bookkeeping, marketing of the products, and promote network establishment between traders and farmers. Agro- Business Fundamentals for Micro Entrepreneurs: Agro-Business Fundamentals is a 3-day workshop; facilitating aspiring and small-scale entrepreneurs take commercial approaches to their farming activities. The participants learn through role-playing, simulation and other exercises which are used to develop a business plan that can be implemented upon completion of the course. Concepts covered include business cycles, record keeping, planning business, purchasing decisions, group membership, monitoring production costs, basic cash flow, assessing costs and benefits, and savings and credit. The training has been conducted in various districts, such as Rasuwa, Ramechhap and Lamjung, comprising of 100 plus participants. 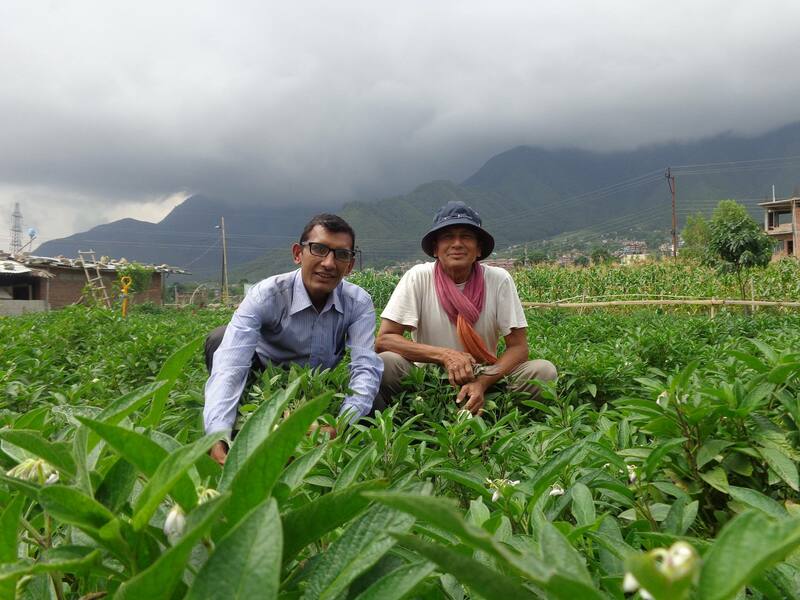 Udhyami Fellowship (UF): UF, a 4/8 weeks apprenticeship program, was introduced to change the stories of loss and failures that affects the growth of aspiring and small scale entrepreneurs in Nepal. The lack of adequate technical and business acumen often causes one to make mistakes that create loss and new found enthusiasm to wane. Thus, people who want to establish or scale up a small business are paired with established entrepreneurs, providing a real life practical training in their field of interest. Our current host entrepreneurs have more than 5 years of experience, so they can not only teach technical skills but also help to link with input suppliers and market. The provided fellowship are on Goat farming, Cow farming, Poultry, Pig farming, Vegetable farming and Mushroom farming. Udhyami Insights (UI): UI is an interaction program designed to help aspiring and existing entrepreneurs find appropriate approaches to their queries and challenges from the insights of established entrepreneurs and experts. Each edition of the program focuses on specific areas of a business. The first edition on, “Why Restaurants Fails,” addressed the issues behind the failure of 60% of the restaurants within the first 3 years of operation. The second edition on “Tips and Tricks for Successful Commercial Farming,” focused on turning agro-business into a sustainable source of income. Likewise, the third and fourth were focused on "Financing, Insurance and Subsides for an Agro-enterprise" and "Social Media Marketing for Your Venture," respectively. 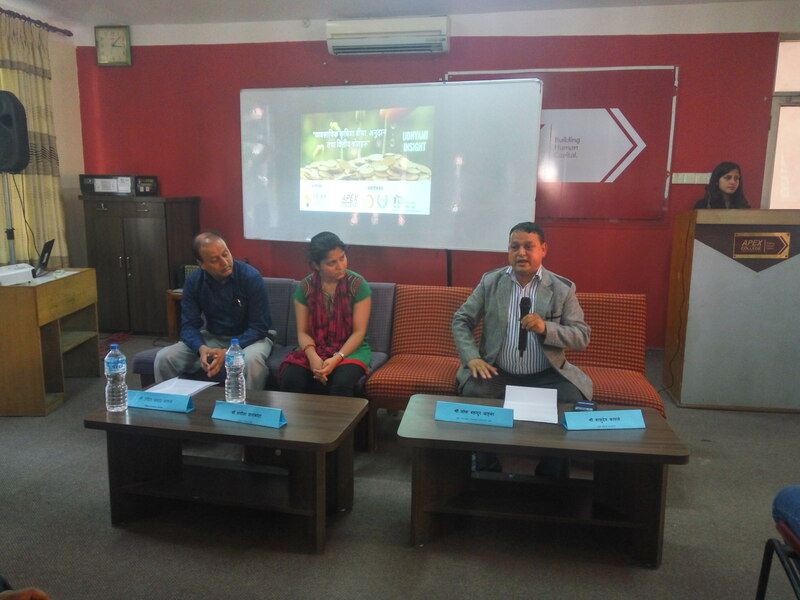 Uncovering Opportunities: Showcasing Stories of Innovative Entrepreneurs: In an effort to make people see the business opportunities in Nepal, ISAP has been sharing success stories of young innovative entrepreneurs through radio shows, newspaper articles, blog posts, and documentary series. The videos are shared on popular video streaming platforms like YouTube while the stories are updated on social media like Facebook, reaching out to more than 30,000 people. Some of the stories and videos shared are on Abari, Maidan, Bhav Products, Himalayan Allo Udhyog, Anthropose, Swiffles, Shah Hemp Inno-Ventures (SHIV) and so on. Early Social Innovators (ESI)/SchoolPreneur: Early Social Innovators (ESI)/SchoolPreneur, a 15-day program developed at ISAP, empowers children aged between 11 and 18 to solve communal problems by designing their own entrepreneurial solutions. This opportunity harnesses the natural creativity and critical thinking skills of children, and benefits society at large with a bottom-up approach by training next generation to become impact driven problem-solvers. ESI/SchoolPreneur has been successfully completed in 9 public schools, 1 private school as well as in an Internally Displaced People (IDP) camp. This year we are conducting the program in 10 public schools, in partnership with Peace Winds Japan (PWJ). YouthPreneur: YouthPreneur, similar to SchoolPreneur, challenges youth aged 16-22 to maximize a certain amount of money that we invest in each group by implementing a business idea in three weeks. In the long-run, the major economic value that this program holds is mobilizing youth to explore new or value-added economic opportunities to segments of society, such as people with disabilities, often stigmatized by community members and ignored by mainstream jobs and employment providers. 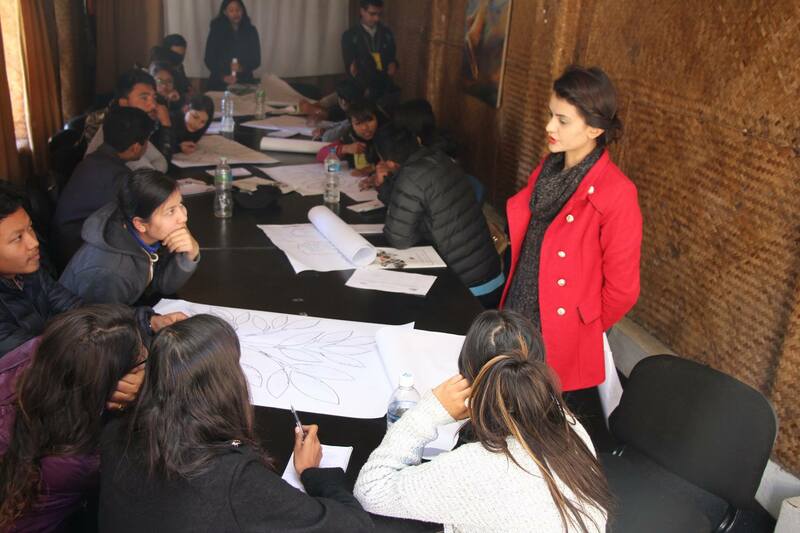 YouthPreneur has been successfully held in Association of Youth Organization Nepal (AYON), a youth organization, and in Share and Care Nepal, an NGO, comprising over 68 youths and social mobilizers. Project Biswas - Remedial Classes for Literacy and Numeracy at Primary Level: Project Biswas is a program tailored to meet the specific learning needs of public school students from grades 2 to 5 with identified major deficiencies in Nepali and Numeracy literacy. 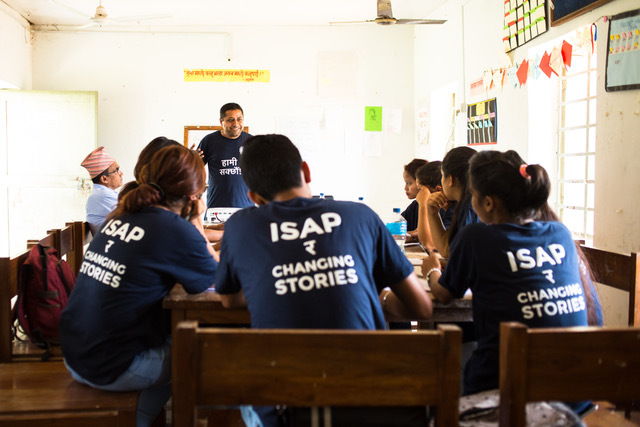 The project is designed by Changing Stories Nepal, a Danish non-profit organization, and is being implemented in partnership with ISAP. The Remedial Education Classes (REC) has been already completed in 5 public schools, reaching out to 75 students of Hetauda after the completion of LITNUM, a literacy and numeracy assessment tool. Mason Training: ISAP have been providing two types of training namely, a 45 day On-the-Job training (OJT) and Seven-Day-Mason training. These training increase the ability to construct earthquake resistant buildings with an aim to address the growing need for reconstruction of individual dwellings in the aftermath of the 2015 earthquake. ISAP in partnership with Peace Winds Japan and Japan Platform conducted the Mason Training Program in Sanosirubari VDC in Sindhupalchowk as well as in Kathmandu. 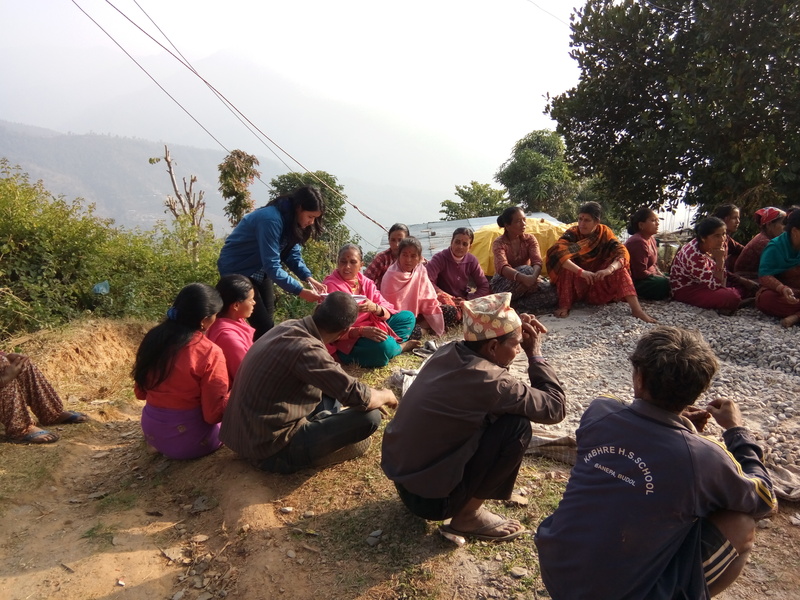 Similarly, in the year 2017, 4 OJT and a Seven-Day-Mason training, funded by Red Feather, was held in Thulopakhar and Jhethal VDC of Sindhupalchowk. Project for Improving Water Access (PIWA): PIWA aspires to improve sustainable access to safe drinking water, increase the number of households with access to adequate water, and reduce labor for water access, along with promoting a participatory, bottom-up and sustainable approach to rebuilding. With the grant assistance from the Japanese Embassy in Nepal and partnership with Peace Winds Japan, the project will rehabilitate 8 of the water supply schemes that were affected by the Nepal Earthquake 2015 in Thumpakhar VDC of Sindhupalchowk district. ISAP in partnership with Peace Winds Japan and Japan Platform rehabilitated 38 water supply schemes, restoring access to water for 1311 HHs in Irkhu and Sanosirubari VDCs of Sindhupalchowk. The 38 community-led water schemes include rehabilitation of 19 intakes, 11 stone RVT, 4 tap stands, 12670 m of pipeline, and construction of 2 ferrocement RVT. The infrastructures to be rehabilitated were identified, prioritized and reconstructed through the active participation of the community members, ensured by mobilizing Participatory Approach to Rehabilitation of Community Infrastructure (PARCI) based on human-centered design. The heavy and continuous downpour that stared on 11 August 2017 invited severe landslides and floods in at least 35 districts of Nepal, claiming 143 lives, completely damaging 79,812 houses and partially damaging 1,44,444 houses. The districts with the highest numbers of people affected by the floods were Saptari, Rautahat, Mahottari, Siraha, Baridya, Sunsari, Banke, Chitwan, Morang, Sarlahi, Kailali and Jhapa as per the press released by Ministry of Home Affairs. Similarly, United Nations Office for the Coordination of Humanitarian Affairs (OCHA) reported that 1.7 million people have been affected and 4, 61,000 people (91,000 families) have been displaced due to the flood. Although many government and non-government agencies were swift to respond with aids, many households were yet to receive any aid materials upon our arrival. After a week of pre-assessment to avoid work duplication and reach the most vulnerable groups, Relief Distribution for Flood Victims was organized in Saptari, Sunsari and Morang district which were among the 10 most affected districts hit by the flood. The distribution program was organized with support from Peace Winds Japan and Japan Platform in Saptari and Sunsari. Total of 628 households of Saptari and Sunsari received relief materials, including Kitchen Kit, Hygiene Kit, Shelter Kit and Food Ration. As the winter brought danger of cold wave, total of 586 mattresses and quilt was distributed in Pragati Tole, Shiva Narayan Tole, Bargachhi, Gairigaun and Sunaulo Tole of Saptari, helping the people keep warm this winter. Similarly, ISAP in collaboration with Asia Pacific Alliance (APAD Japan) distributed CGI sheets and bamboo sticks to 59 households for shelter preparation and mattress and quilt to 642 households in Morang district. After the 7.9 magnitude earthquake struck Nepal on April 25 2015 which was followed by another earthquake of 7.3 magnitude on May 12, thousands of schools, health facilities and public buildings have been damaged. Institution for Suitable Actions for Prosperity (ISAP) in partnership with CrossRoads Foundation, Peace Winds Japan and Asia Pacific Alliance for Disaster management responded immediately to the disaster. Relief operations were carried out in Dhading, Sindhupalchowk, and Kathmandu, one of the hardest hit regions of Nepal. ISAP and CrossRoads Foundation distributed relief material to 19 House Holds of Jatekharka Village, Dhuwakot VDC in Dhading district on May 13, 2015. In this village, not a single house was in usable condition. Each household had an average of 5 family members. Ichok VDC is one of the remote areas in Sindhupalchowk. All of the houses in the village were fully destroyed and three people had died. The people had managed to get some tents for a basic temporary shelter, and they also had clean source of drinking water in the area. What they lacked was food supply as all of their harvested crops were buried in the collapsed houses. Hence, the main aim of our relief effort was to provide them with enough food items that would last for at least two weeks. ISAP visited the village of Kubhinde. The emergency response included distribution of relief goods to 500 people in Kubinde village, Sindhupalchok District. We delivered basic and necessary food items such as rice, salt, lentil, oil to 700 households. 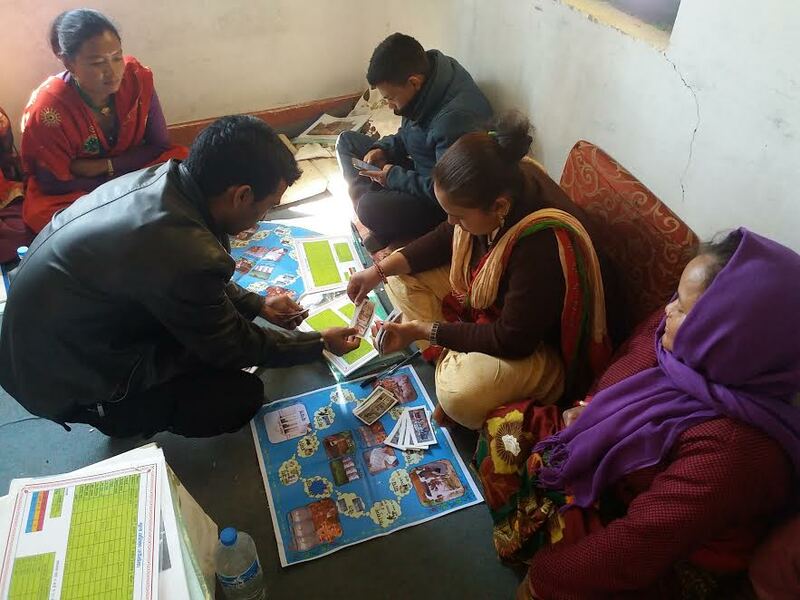 TLC Support: ISAP in conjunction with All Hands Volunteers (AHV) constructed three TLCs (Temporary Learning Centers) in 4 public schools of Melamchi so that classes can resume as soon as possible. Toolkit Support: ISAP along with PWJ distributed 300 tool-kits to be shared between 1030 households. The kits included shovel, chisel, hammer, pick, saw, helmet, gloves and wheelbarrows to help people demolish and clear sites. Support for Transitional Shelter: ISAP in association with PWJ distributed CGI sheets to 1475 households in Chautara ward no. 3, 4 and 7, and 030 households in Sanosirubari VDC in Sindhupalchowk. The support was also given to 120 internally displaced person households of Listikot and Tatopani VDC, who were residing in temporary shelter camp in Danchi, Kathmandu. Training Demolition Engineers: ISAP with assistance of Asia Pacific Alliance for Disaster Management (A-PAD) partnered with All Hands Volunteers to train three Nepali engineers on safe demolition of structures in response to the disastrous 2015 earthquake in Nepal. After the training, ISAP engineers handled over 50 demolition sites and led small mason groups to safely demolish buildings that were up to 3 stories high. ISAP Woolen Flower Training: The pilot project on woolen flower training was initiated to restart the livelihood of people affected by the earthquake. The training was simple enough that anybody could learn it within a few hours by mobilizing easily available materials. Three-day training was given to 20 women from earthquake affected families in the Kathmandu Valley. We also leveraged the existing market linkages to sell the products that were made by the participation in this training. WEAN and ISAP collaborated on this woolen flower training. WEAN took the leadership in participant recruitment, sales and evaluation whereas ISAP led the training. 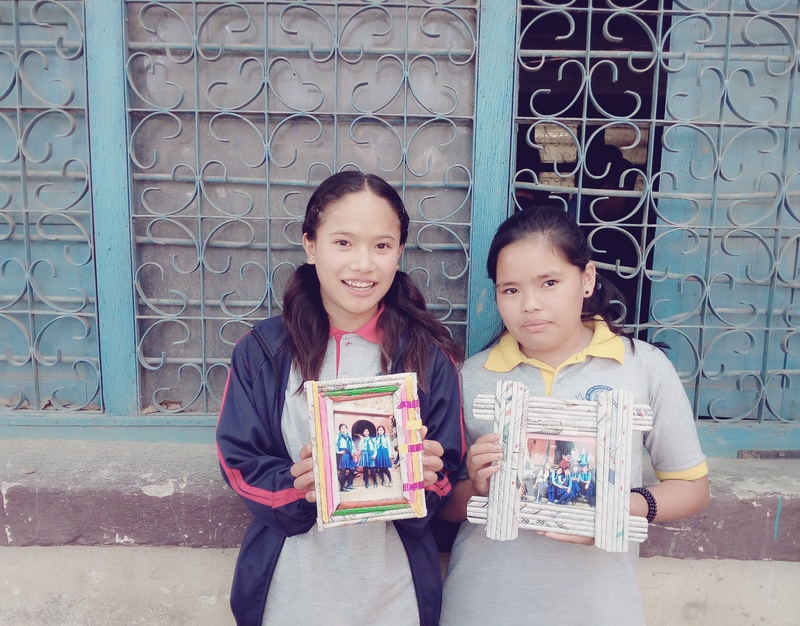 Bloom Nepal: Most of the students in Bloom Nepal School are from the remote districts of Nepal and are studying as residential students. ISAP in support with Crossroads Foundation supported 50 mats for resuming schools. 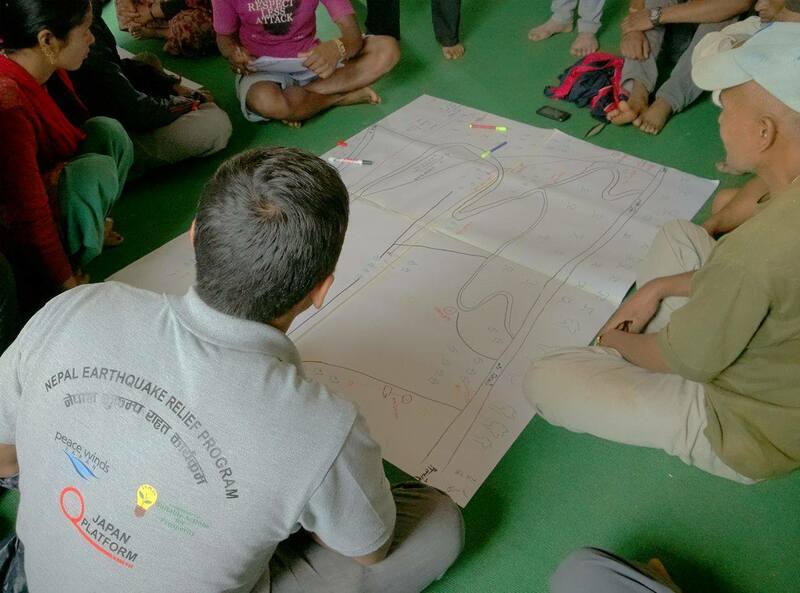 Participatory Approach for Safe Shelter Awareness (PASSA): Participatory Approach for Safe Shelter Awareness (PASSA) is a participatory method of disaster risk reduction (DRR) related to shelter safety. The aim of PASSA is to develop local capacity to reduce shelter related risk by raising awareness and developing skills in joint analysis, learning and decision-making at community level. 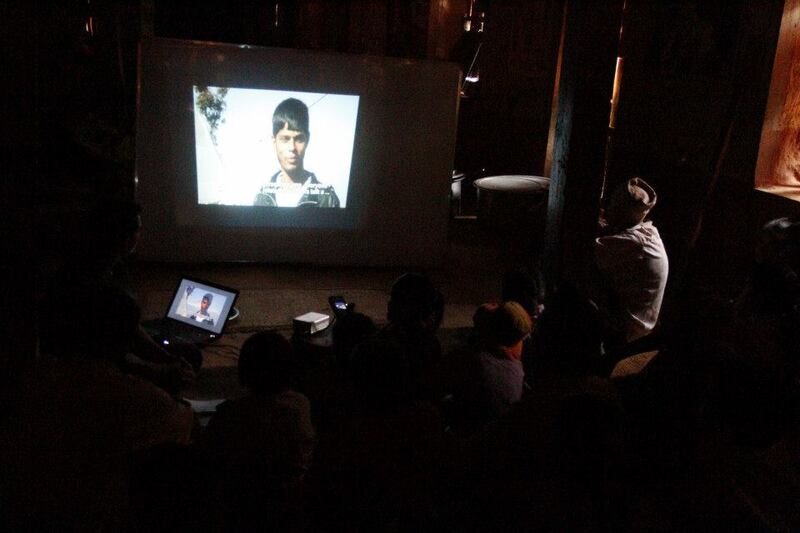 The awareness program was conducted in Ramechaap district of Nepal after 2015 earthquake.